Japanese fishing tackle giant DEPS have become world renowned for their high quality, and truly unique lures. The NZ Crawler is no exception to this, and is the ideal bait for anglers targeting big freshwater predators. This crazy bait is unlike anything you’ve seen before. It’s a wide-bodied, high-mass jointed lure which is constructed of resin, and it swims across the top of the water, attracting hungry fish with its distinctive swimming action and highly attractive colour combinations. The NZ Crawler features large stainless steel wings that move a lot of water and make a unique sound. 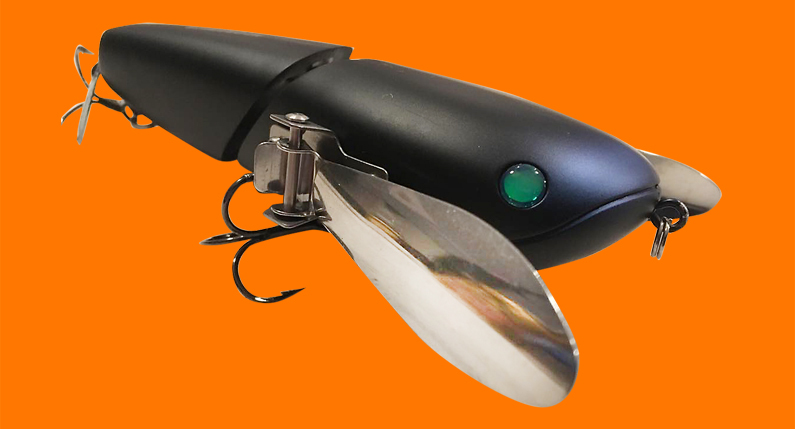 There is also a blade at the back that creates a flash to further attract nearby predators, and two super-sticky treble hooks that produce solid hook-ups. If you’re looking for a big profile bait that moves a lot of water and gives the appearance of a distressed fish, frog, rat or bat, try a DEPS NZ Crawler. It’s available in Australia through Dogtooth Distribution.